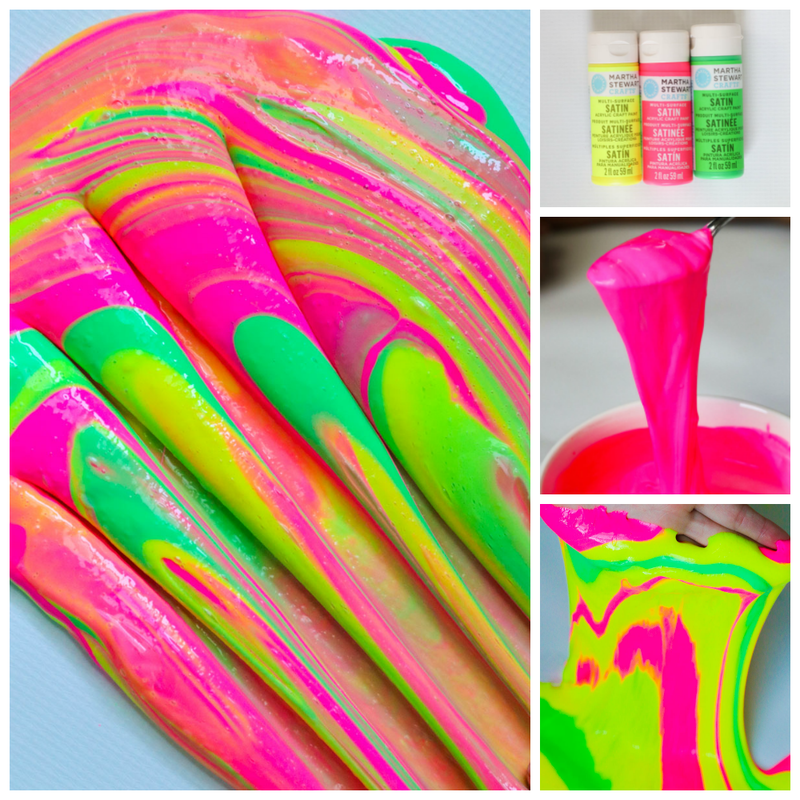 We’ve been hard at work on sharing some new slime recipes over the summer. It’s such a great sensory activity and a fun chemistry activity, the kids always love it! We have so much fun coming up with our own creations. 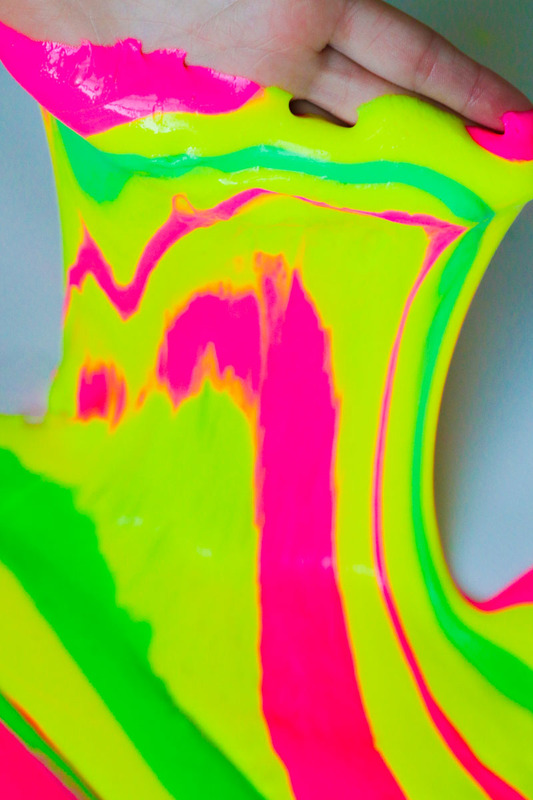 This one I’m sharing today reminded us of Tie-Dye with the bright colors and how they mix when you stretch it. Let’s get started with the directions! In a bowl mix 1/2 cup water and 1/2 cup of glue (make sure to really mix to combine completely). Next you can add in whichever color of neon paint you’d like. You can use either Elmer’s Clear School Glue or Elmer’s White glue but just remember when you add color to white glue, the color will be lighter. 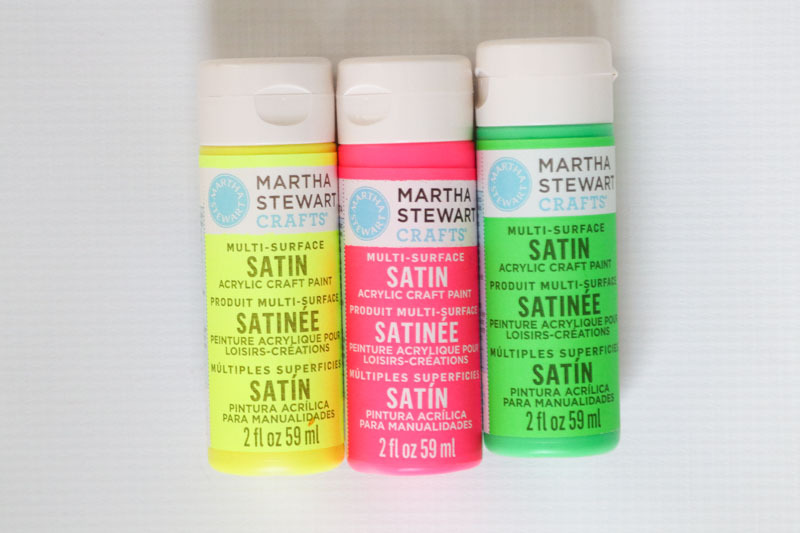 Use clear glue for jewel toned colors! To make other colors you’ll simply repeat these steps in another bowl but switch out the colors. Then you’ll pour in 1/2 cup of liquid starch. You will see the slime immediately start to form and start sticking to your fork. 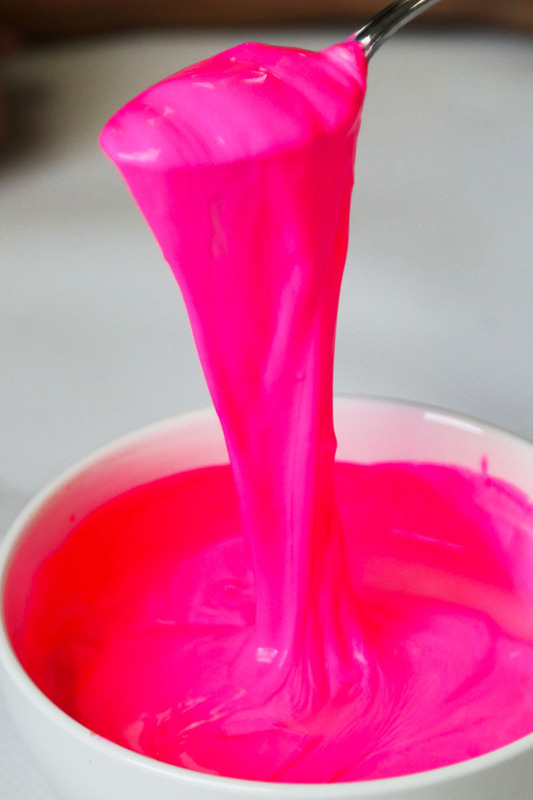 Once it starts completely sticking, then switch to mixing with your hands for a few minutes until you feel the majority of the liquid incorporated into the slime.